Why and how has the Business Corporation come to exert such a powerful influence on American Society? The essays here take up this question, offering a fresh perspective on the ways in which the business corporation has assumed as enduring place in the modern capitalist economy, and how it has affected American society, culture and politics over the past two centuries. The authors challenge standard assumptions about the business corporation's emergence and performance in the United States over the past two centuries. Reviewing in depth the different theoretical and historiographical traditions that have treated the corporation, the volume seeks a new departure that can more fully explain this crucial institution of capitalism. Rejecting assertions that the corporation is dead, the essays show that in fact it has survived and even thrived down to the present in part because of the ways in which it has related to its social, political and cultural environment. In doing so, the book breaks with older explanations ground in technology and economics, and treats the corporation for the first time as a fully social institution. Drawing on a variety of social theories and approaches, the essays help to point the way toward future studies of this powerful and enduring institution, offering a new periodization and a new set of questions for scholars to explore. 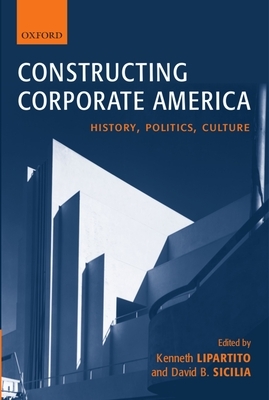 The range of essays engages the legal and political position of the corporation, the ways in which the corporation has been shaped by and shaped American culture, the controversies over corporate regulation and corporate power, and the efforts of minority and disadvantaged groups to gain access to the resources and opportunities that corporations control.